Smaller courts, shorter racquets and balls that bounce lower. Now, it’s easier for kids to play the game and develop a love for the sport right from the start! Can you imagine sending your child out to play baseball for the first time with the same-sized bat and ball they use in the major leagues? Of course not. 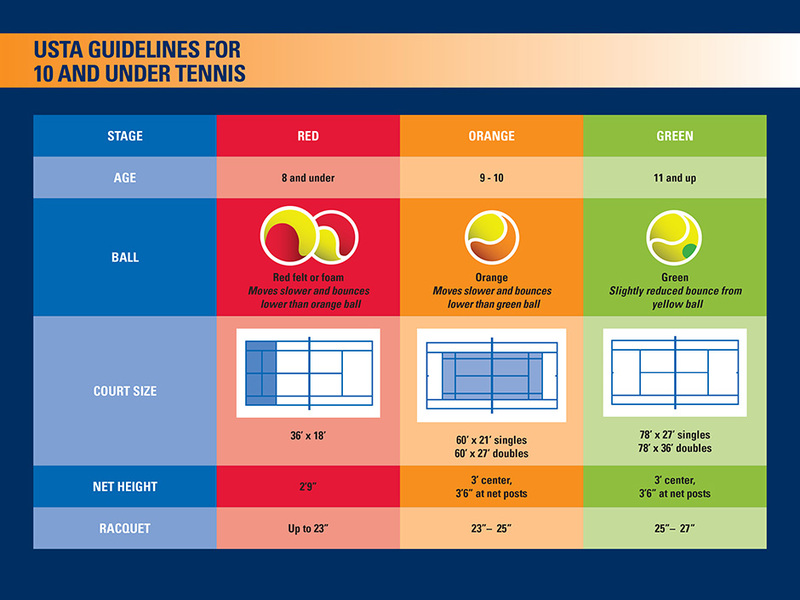 Yet, until recently, young players have used adult-sized racquets and yellow tennis balls to play on the same sized courts that are used at the US Open. 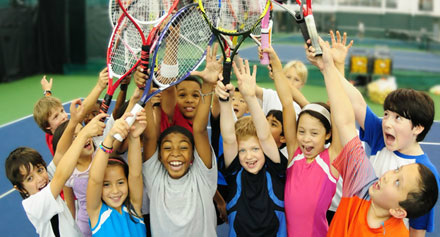 With racquets, balls and courts sized to fit their needs and abilities, kids will feel successful right from the start. Research shows that when it comes to sports, kids just want to have fun. With 10 and Under Tennis, kids have more fun right from the start -- and that keeps them coming back for more!